Dreamed up by Scott Amron of Amron Experimental, Inc. this is one of those simple, yet brilliant, ideas that I adore. 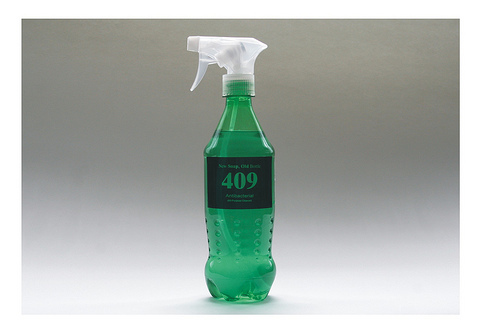 Take old soda, water and beer bottles clean them up and put new liquid soap and cleaning products into them and you have New Soap Old Bottle. Not only is the idea friendly to our environment the pricing is pretty darn wallet friendly as well. In addition to being able to purchase the filled bottles you can buy child safe tops to transform your own bottles at home. 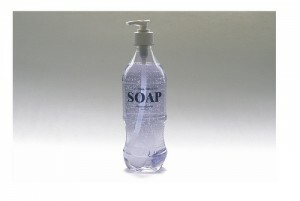 There is even an opportunity to invest in New Soap Old Bottle by buying 5% ownership. See the details on the website. I like this idea so much I’d be hoping on the chance if I could afford to. For now I’ll have to settle with buying a few bottles instead. PS – For you business owners, organizations, or institutions New Soap Old Bottle offers a recurring order option that would make it easy to make the switch to this environment friendly option.